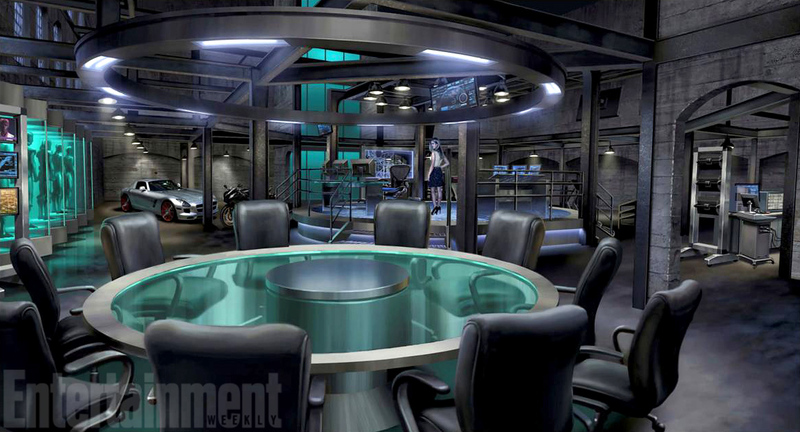 The Arrow Lair Gets A New Look In Season 4! We know we’ll be seeing new characters and new costumes in the fourth season of “Arrow,” but now you can add a new lair to that list as well! Entertainment Weekly has gotten the first image of a piece of concept art of what the new lair looks like, now being dubbed as the Arrow Bunker. The Arrow Bunker definitely looks to be an upgrade from what we’ve seen in the previous three seasons, but the actual location of it still remains a mystery. We’ll be able to see the new lair when “Arrow” returns on Wednesday, October 7th.